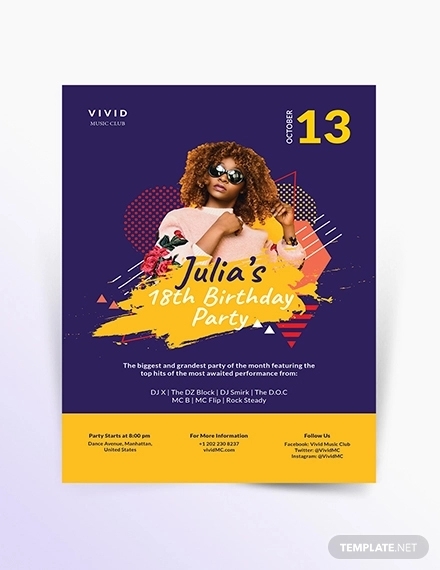 Use of flyers doesn’t need to be restricted to the promotion of events and businesses. 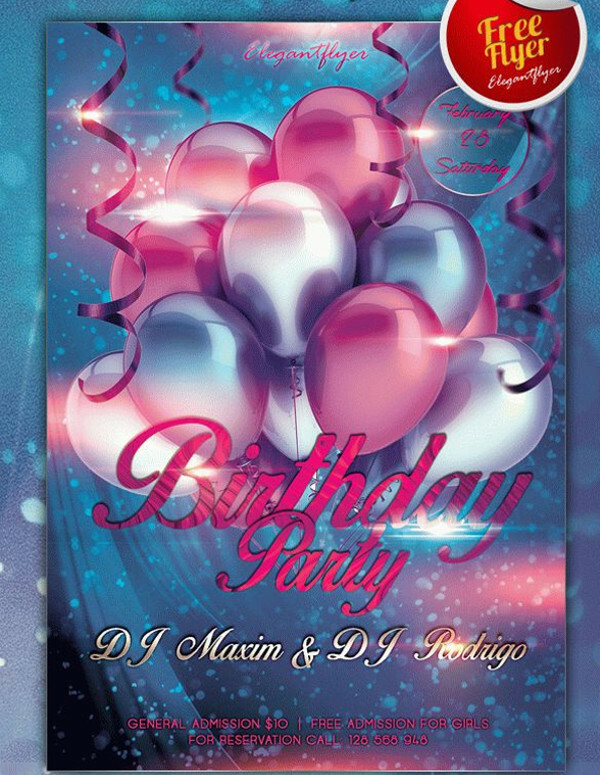 We all have seen flyers for parties in the local club or jam night in the nearby café. 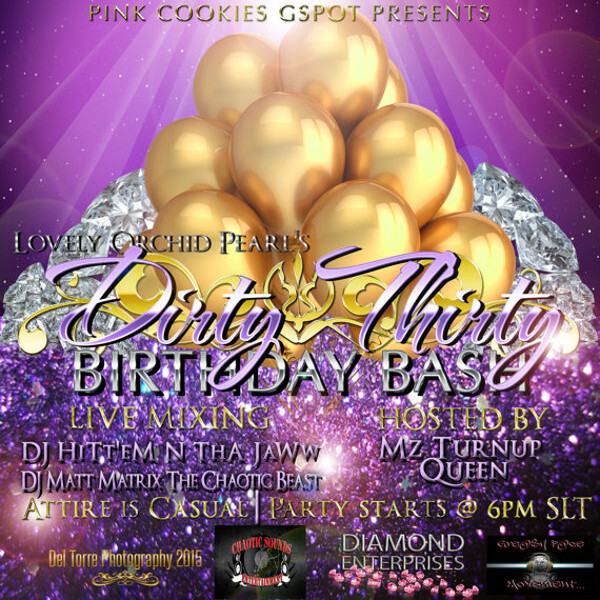 You may also see Party Flyer. 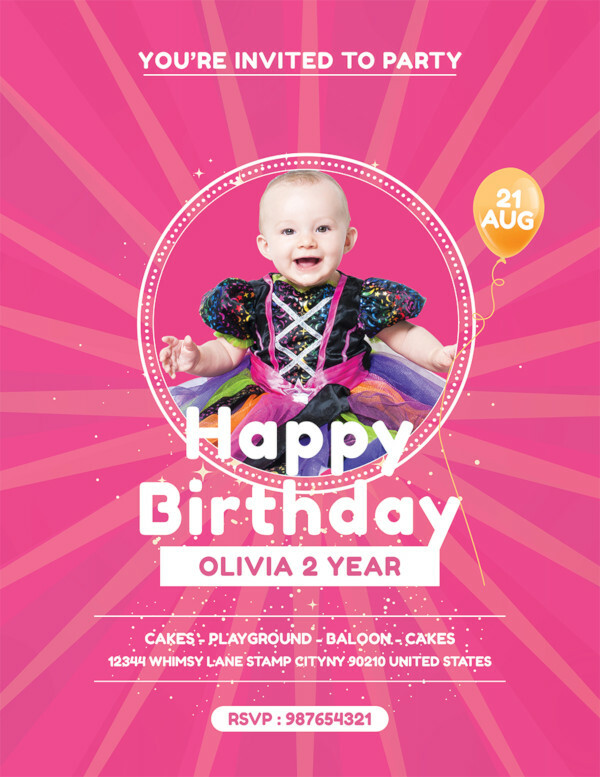 In this article, you will come across flyers for the theme of birthday, mostly being a birthday party invitation, which is quite different from the conventional party flyers. 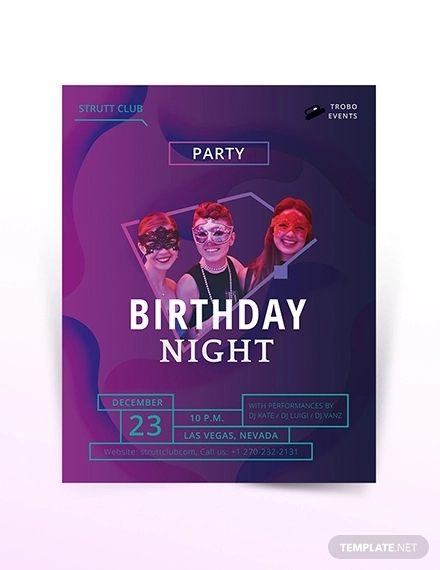 These flyers are available as mockups and editable templates that you can either look at or download and customize to use it for yourself or your client. 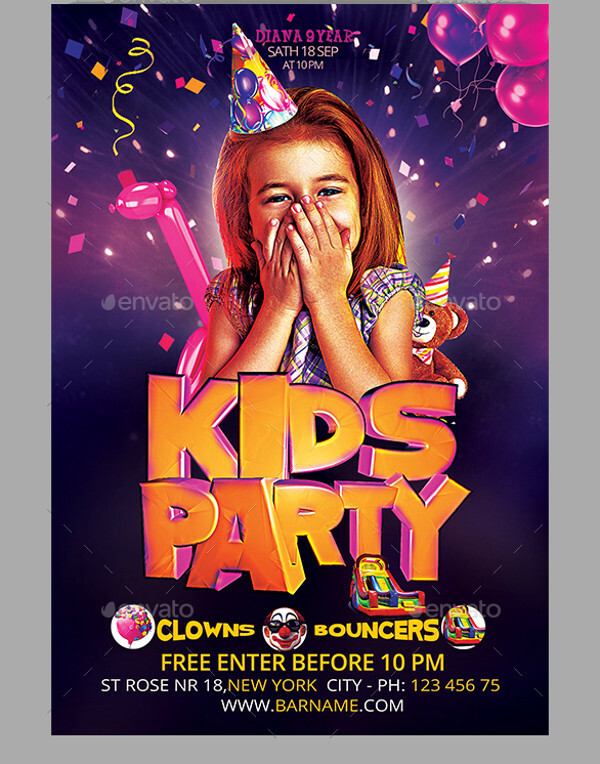 This is a free flyer design that is available in a 300 dpi resolution and print ready CMYK file. 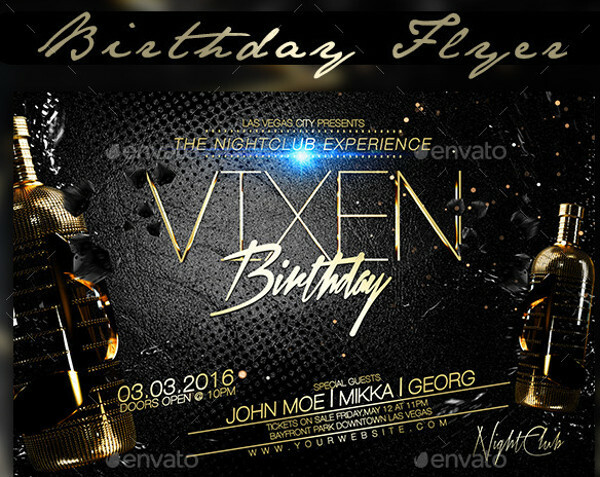 The PSD template is well organized and is set in a size of 4 x 6 inches.You may also see Night Flyers. 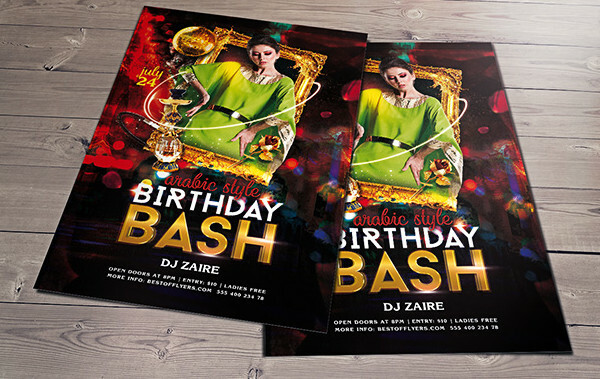 Here is an Arabic styled birthday party flyer invitation with hookah and sheesha on the cover design. 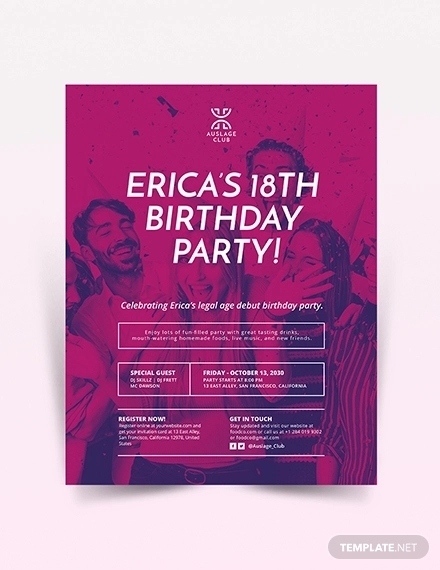 This flyer can also be used for general party purposes.You may also see Happy Hours Flyers. 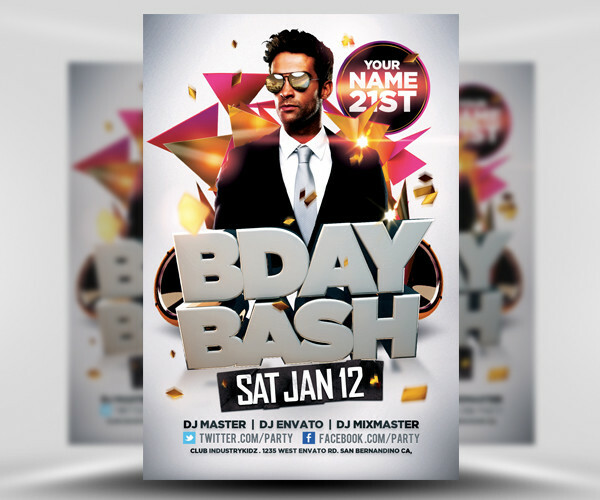 Here is a fully editable PSD flyer template in size 6 x 4 inches and CMYK color mode. 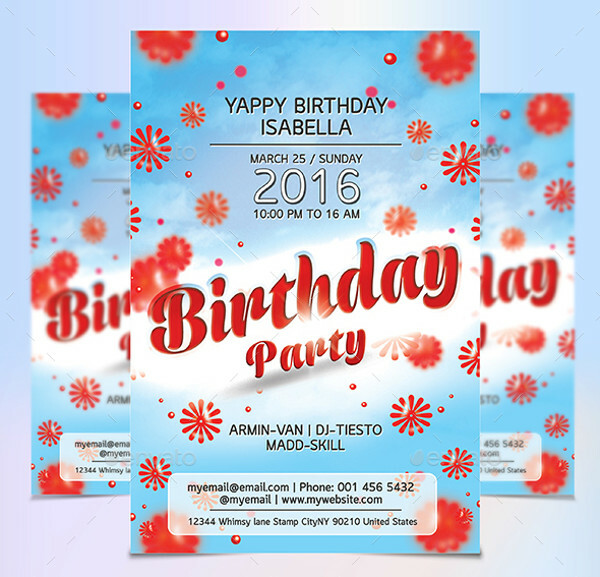 The well-organized design can be used for varied purposes, ranging from promotion to advertising purposes. 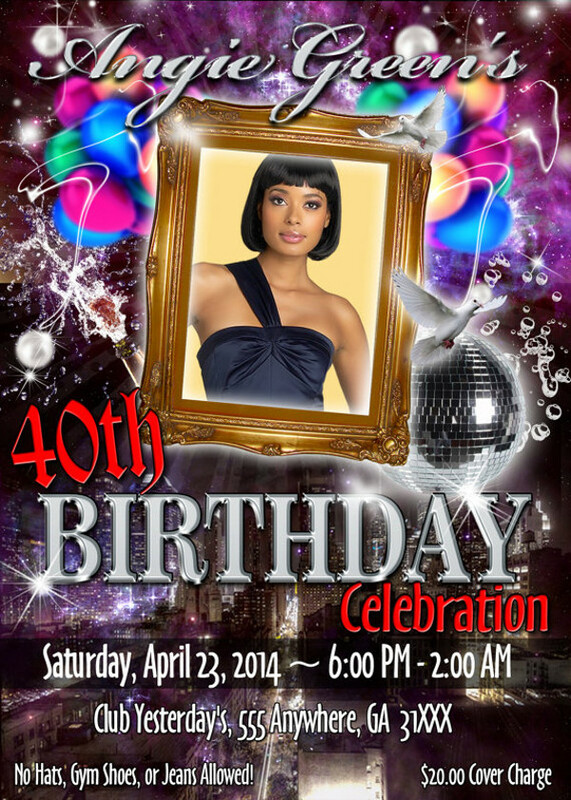 Promote your next birthday anniversary party with this cool flyer design. 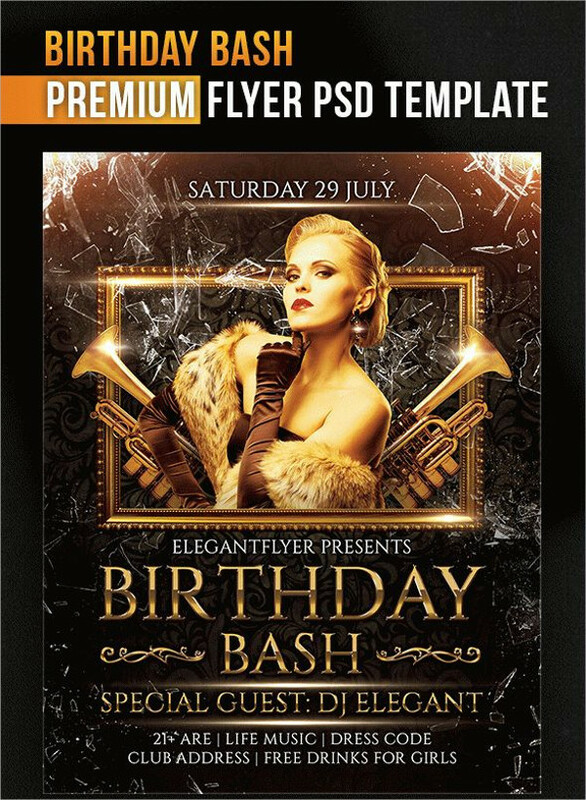 The print ready premium flyer comes with a 300 dpi print ready CMYK file that you can download and edit. 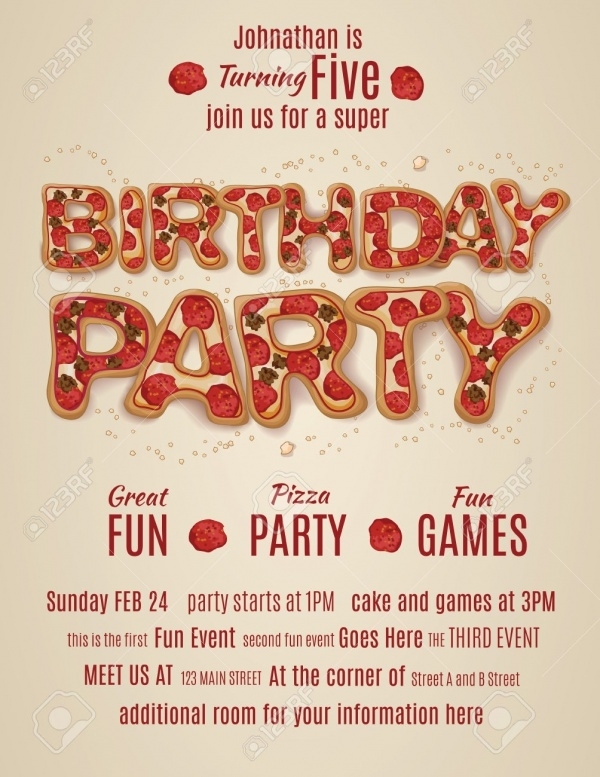 If you are having pizza-themed birthday parties then do check out this amazing design where each alphabet is made up of pizza bread and toppings. 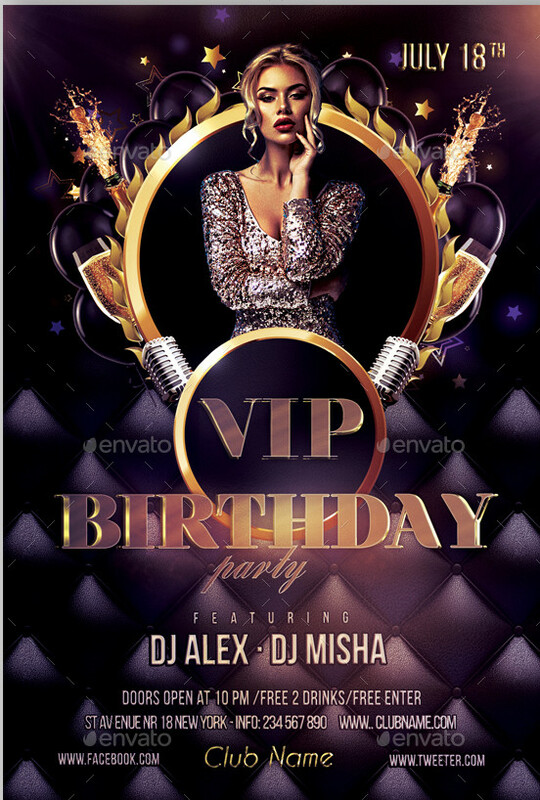 Add the high heels which are bling and glitter to your next birthday bash with this premium PSD template available on GraphicRiver. 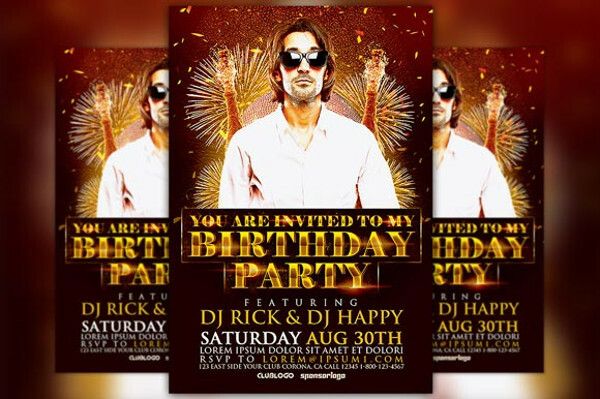 Here are three flyer templates for you to pick from. 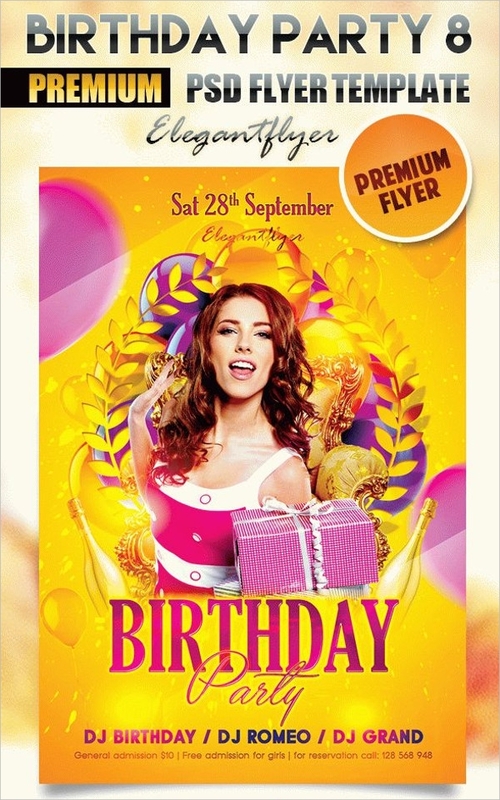 The premium flyer design is suitable to promote your birthday along with the music performance and celebrations. 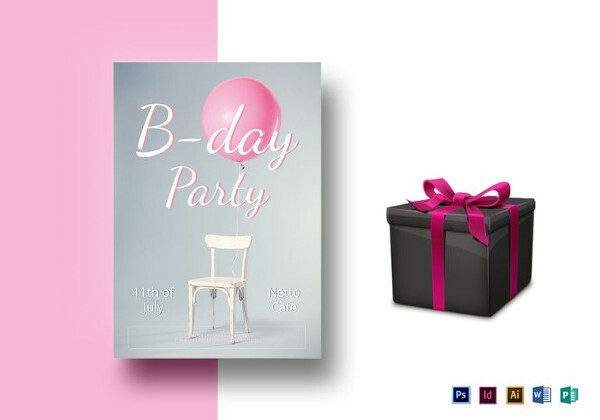 Here you will find one editable PSD file set in 4 x 6 inches and 300 dpi resolution along with CMYK color mode. 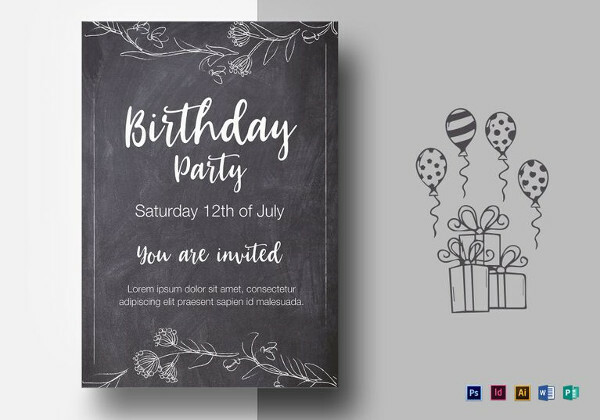 This design is called elegant birthday flyer. 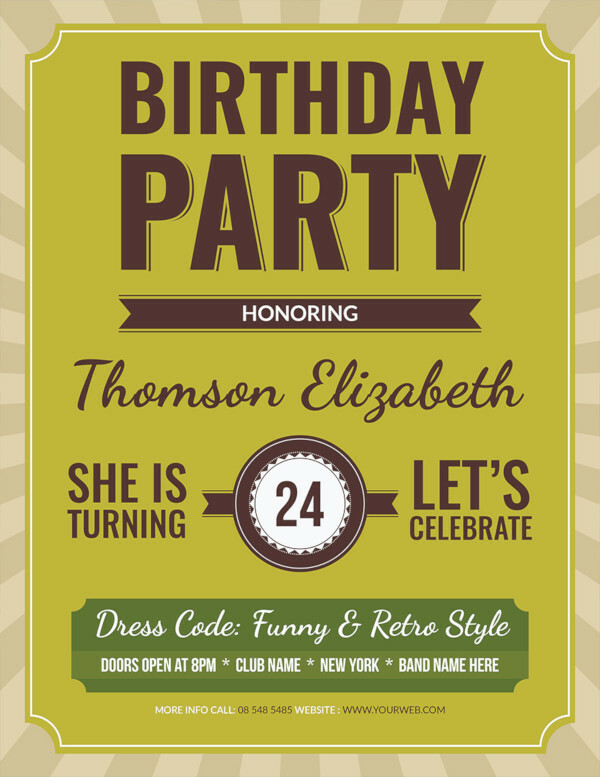 This design is easy to edit with its organized and named layers and is available in US letter size. 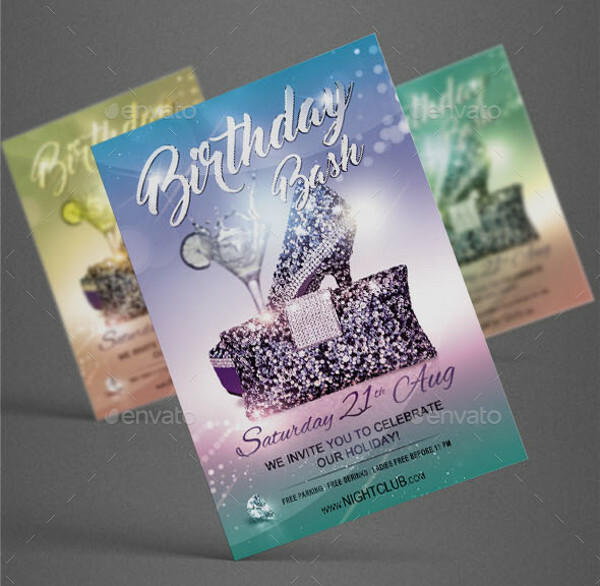 Check out this unique and colorful party flyer where the central content is the number of years you have existed on this planet in shades of gold that catches the eye. 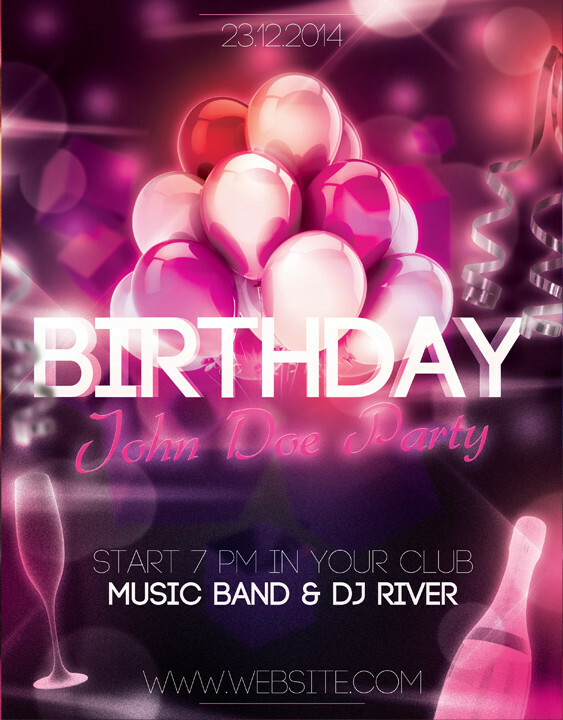 Check out this flyer poster that can be used not for just birthdays, but anniversaries and other celebratory occasions. 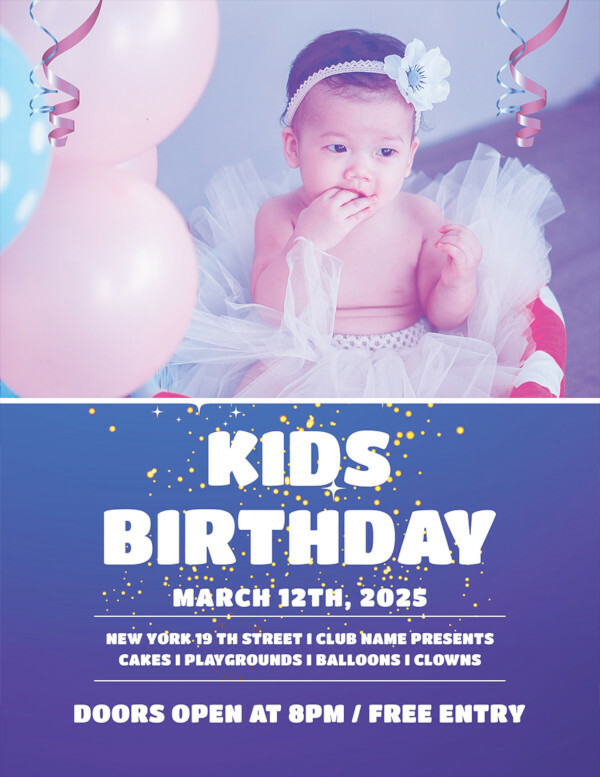 Here is a pack of 2 flyer templates that you can use perfectly as an invite for your kid’s birthday party in the neighborhood. 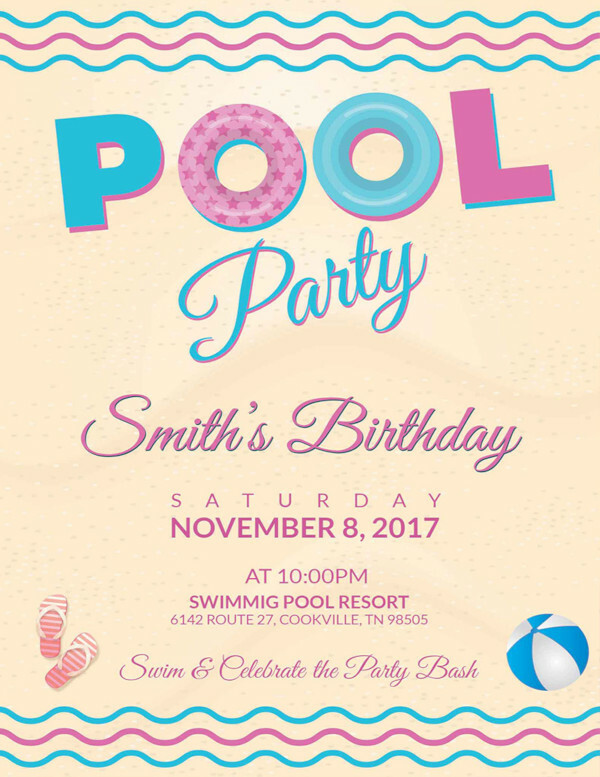 If you are having a beach birthday party then your design also needs to revolve around the same theme. 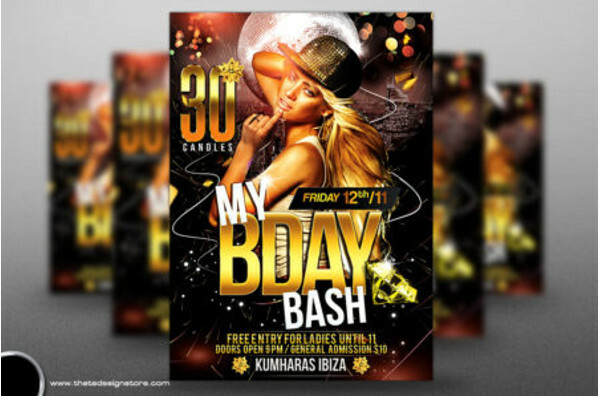 If that is the case then check out this professional flyer template from the given link. 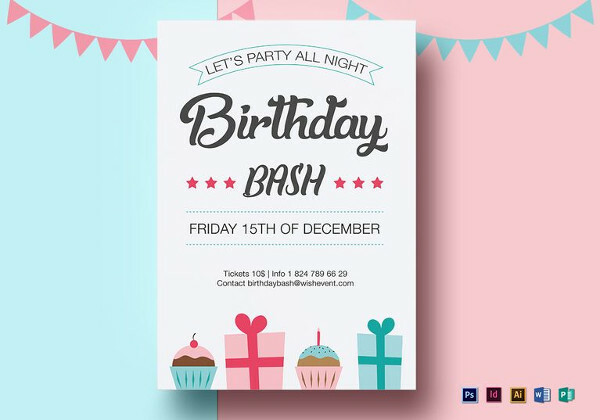 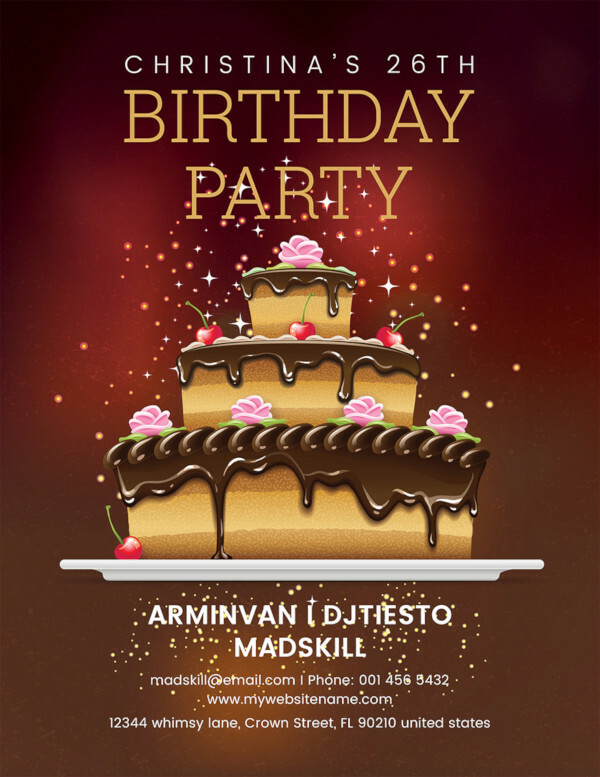 Check out this amazing template that is available as a high-quality 3D birthday party flyer which you can use for private events, bars and clubs. 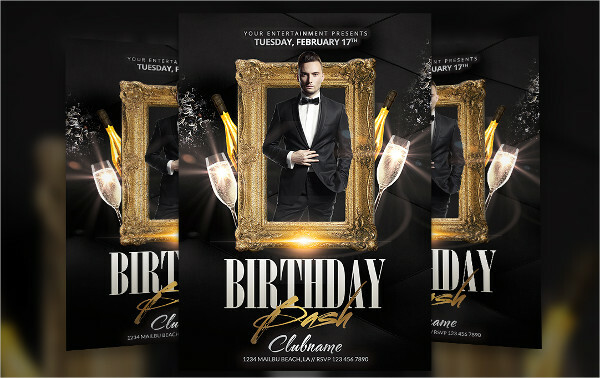 Here is another premium flyer template that you can download if you don’t mind spending a little for your flyer templates. 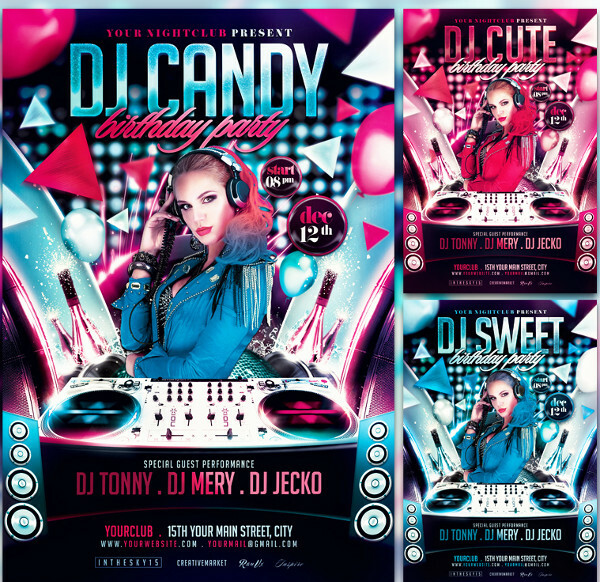 These PSD flyers all revolve around the same theme of birthday parties. 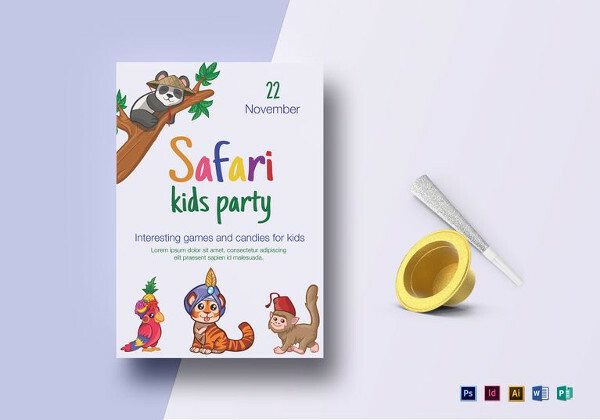 You don’t have to download them at all. 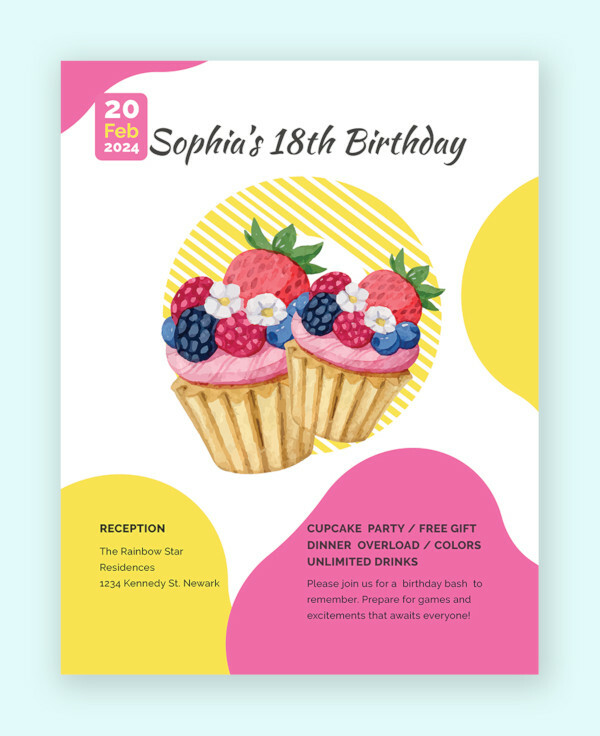 You can check them out to draw ideas for your flyer designs. 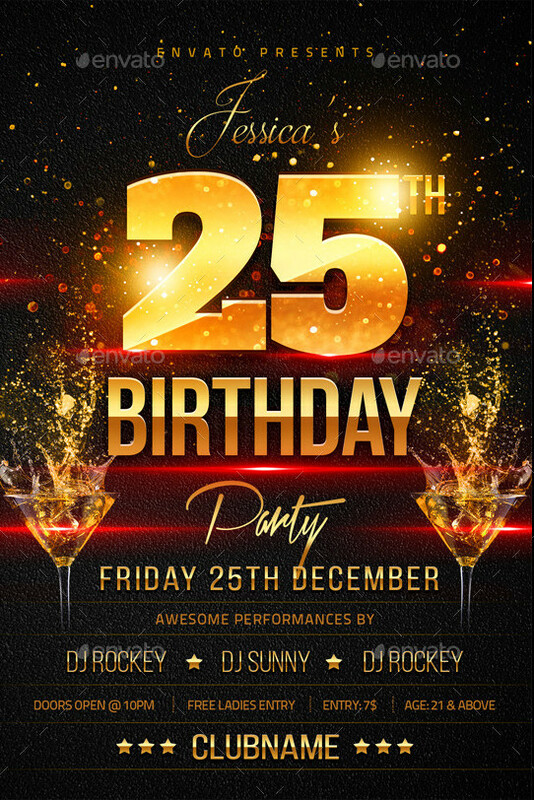 Not just that. 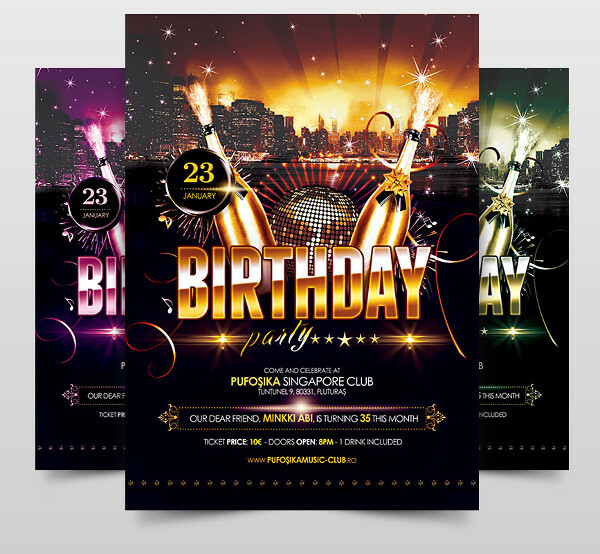 The same designs can act as an invitation flyer to any other club or bar related event.